In order to reach out to the network on most corporate networks you’ll find yourself needing to make use of the corporate proxy server. You’ll need to configure this if you want to use Update Manager on the VCSA or perhaps update the appliance itself. Log into the appliance via https://appliance.domain.local:5480, click on Networking on the left hand menu and then Manage tab. 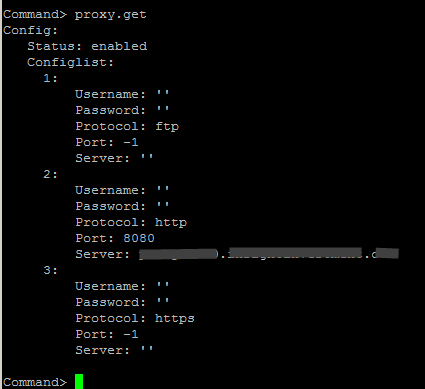 At the bottom you’ll see that the Proxy server is configurable. Despite having the correct proxy server set, I could not successfully Check Updates. To get a little more information on why this was failing I ssh’ed into the appliance and attempted to perform a ‘check’ manually. Now retry the wget command (in bash) or perform another check for updates.